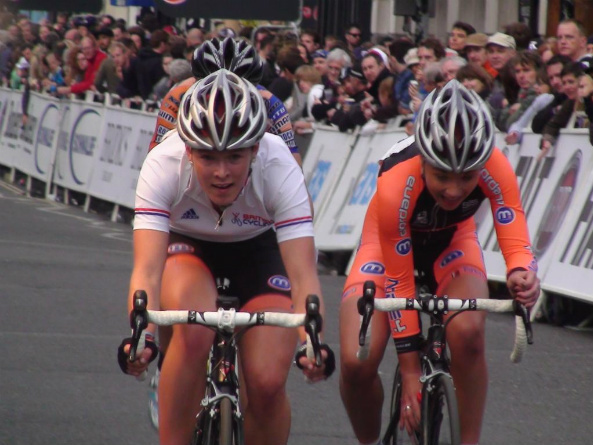 Hannah Barnes completed a hat-trick of victories in yesterday evening’s London Nocturne Women’s Criterium, but the Motorpoint one-two was overshadowed by the theft of two team bikes. Current nation criterium and circuit race champion Barnes and team-mate Lucy Garner were too strong for Helen Wyman (Horizon Fitness RT), who had to settle for third after the trio broke clear early on and held on to contest the victory. 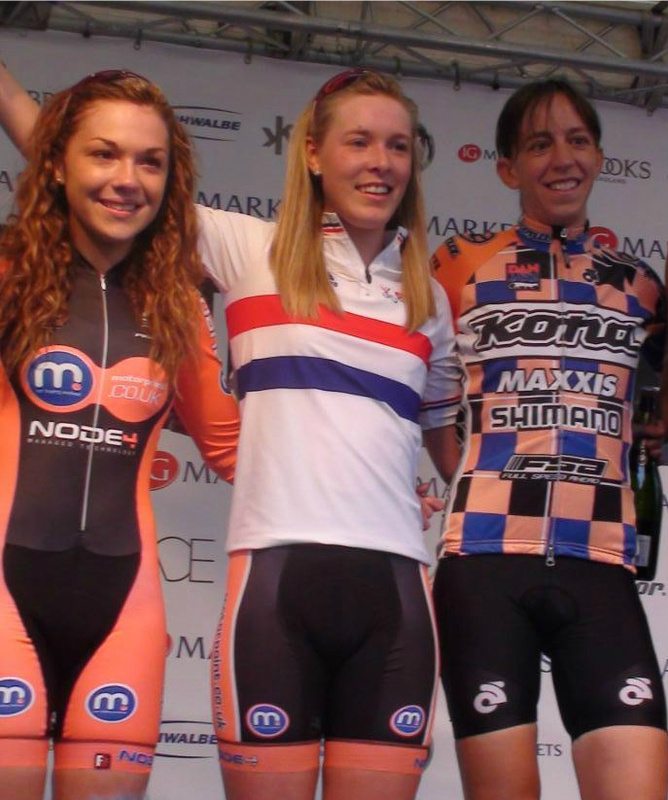 Annie Simpson, winner of the Oldham Johnson Health Tech Women’s Grand Prix Series round on Thursday led home the peloton; Hannah’s sister Alice Barnes came sixth with a fourth Motorpoint rider in the top ten, Harriet Owen, taking eighth. 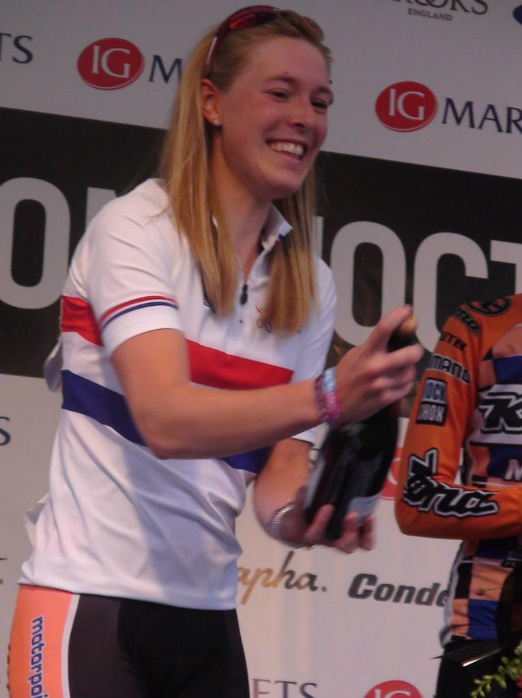 However, Alice’s Pinarello FP Quattro bike was stolen after a team car was broken in to, and worse was to follow when Andy Magnier’s Pinarello Paris was taken from the pit area. 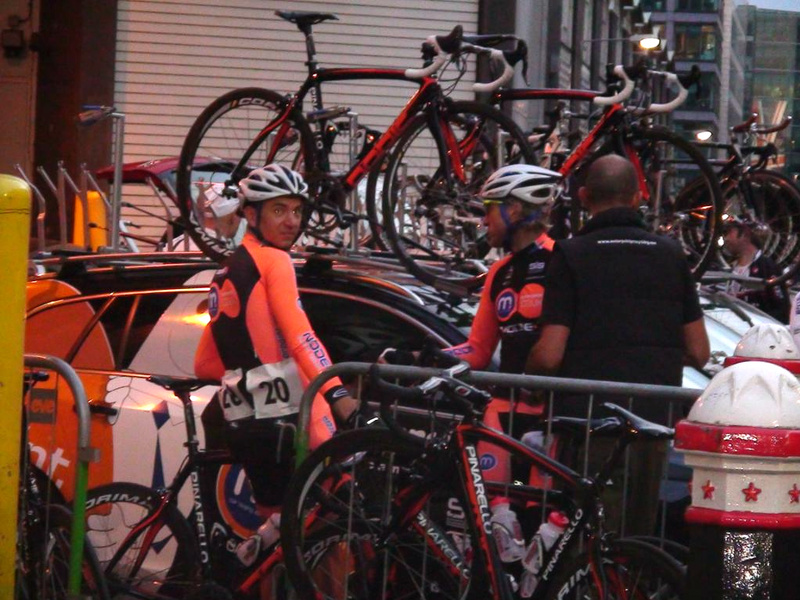 Magnier’s bike is easily recognisable, as it features an orange and black paint job unique to the team’s frames. Despite being limited to junior gears for the Johnson’s Series, Garner currently lies second overall to the experience Wyman, with sprints leader Hannah Barnes in third going into Tuesday’s final round in Woking. Pinarello FP Quattro – Size 46 frame, Shimano Ultegra groupset, Fulcrum Zero wheels. Distinctive name sticker saying “Owl” and an owl charm under the saddle. Pinarello Paris – Size 58cm frame, Campagnolo Super Record groupset (11 speed), Corima Aero and wheels, MOst carbon one-piece bars.